This is what happens when you run out of airspeed, altitude and ideas all in the same flight. RIP 07-21-2001 My TF Mustang. This one was lost when someone shot me down turning on a radio with the same frequency. 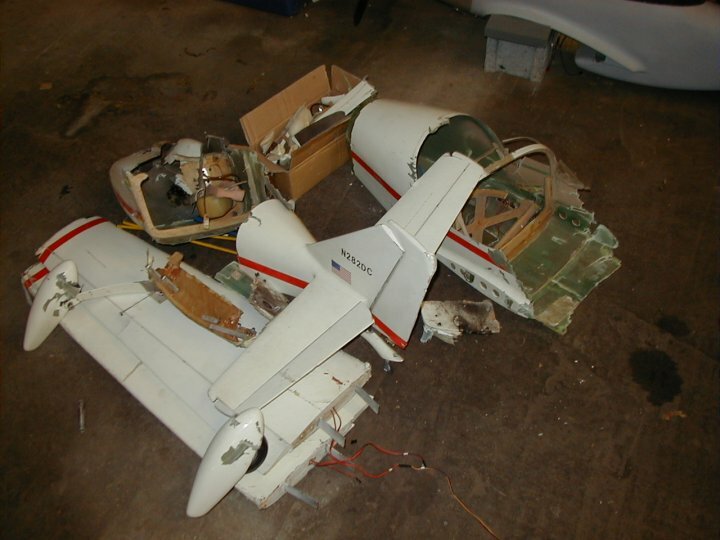 Engine, retracts, and radio gear was saved. All else was lost. RIP 11-11-2001 Byron Glasair TG. 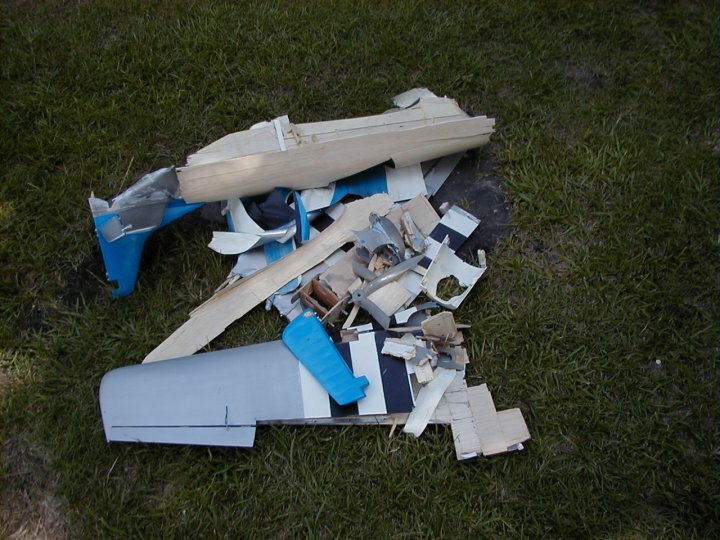 This one came apart in the air when a prop blade separated from the hub. The intense vibration appeared to break the seam where the rear fuse joined to the front. All control was lost immediately and the tail section appeared to flutter about before it hit the ground. The radio receiver and 4 servos was all that was saved from this one. Engine shaft was bent. It was a great flyer. Guess I'll have to build the kit I have now! Sometimes thing just happen. I sure hope this is always the smallest page on the entire site!